An attractive smile can significantly boost your confidence. Dr. David Pousson offers a wide range of cosmetic dentistry treatments at his Slidell, LA, office to enhance the appearance of your teeth and gums. Whether you are interested in Botox, porcelain veneers, teeth whitening, or a complete smile makeover, let Dr. Pousson's experience and expertise guide your cosmetic transformation. Our cosmetic dentistry procedures can be combined for a comprehensive, customized treatment plan. Botox in dentistry isn't just for cosmetics anymore. It's also used to complement esthetic dentistry cases, as a minimally invasive alternative to surgically treating high lip-line cases, denture patients who have trouble adjusting to new dentures, lip augmentation, and is used in orthodontic cases where retraining the facial muscles is necessary. Ask us if Botox is right for you. Are your teeth affected by chips, cracks, gaps, and discoloration? Porcelain veneers can conceal these blemishes and transform the appearance of your smile in just two office visits. Made from durable and natural-looking porcelain, this cosmetic treatment is safe, effective, and fast, giving you an enhanced, bright smile with the confidence to match. 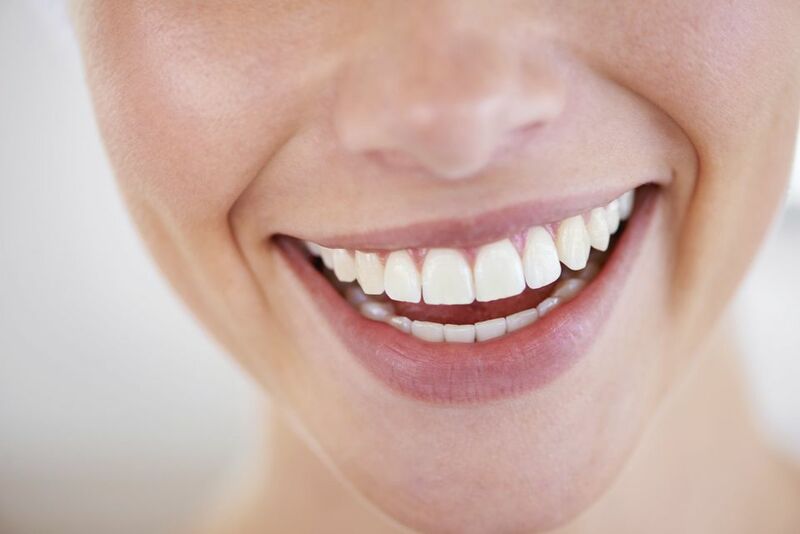 If your teeth and gums are healthy, you may be a candidate for veneers. We offer Lumineers® porcelain veneers, which are among the finest in dentistry. The placement procedure requires minimal preparation of your teeth. Pousson Family Dentistry offers KöR® teeth whitening in both in-office and take-home options. Our whitening gels offer dramatic whitening results in as little as a few treatments. The convenient take-home gel allows you to implement a whitening regimen in the midst of your busy schedule. If you want immediate results, you should consider our in-office treatment option, which can dramatically brighten your teeth in 90 minutes. Dr. Pousson may recommend a take-home treatment following your in-office visit to maintain the brilliance of your new smile. Teeth whitening can be a part of a wider scope of cosmetic treatments to achieve your most attractive smile. Clear, removable aligners are a discreet alternative to metal braces. These custom-made appliances straighten teeth in about 12 to 18 months, without the irritation of brackets, wires, and tightening appointments. Dr. David Pousson offers MTM® Clear Aligners, which stands for Minor Tooth Movement, to comfortably reposition crooked teeth. Adults and teens make great candidates for this type of orthodontic therapy. A smile makeover refers to any combination of cosmetic dentistry treatments that dramatically improve the appearance of your smile. It could be a simple treatment to reshape your teeth or combine several cosmetic procedures to achieve your goals. Dr. Pousson has a keen eye for aesthetics and has years of experience combining treatments that bring out the patient's best features. Your makeover begins with a private consultation with Dr. Pousson where you will discuss your makeover goals, concerns, and expectations. If you need restorative treatments, patients often consider combining a full-mouth reconstruction with other treatments for an all-encompassing smile makeover. Also known as dental crowns, this type of restoration transcends the restorative and cosmetic boundary, and offers all-encompassing benefits. If your tooth is broken, decayed, or otherwise compromised, a cosmetic crown can completely encase the tooth, and protect it from further trauma and decay. Our crowns are made from porcelain and fused with metal for a sturdy base. Dr. Pousson will ensure that your oral health is robust enough for a crown. If you have advanced periodontal disease, you will need to undergo treatment before receiving a crown. 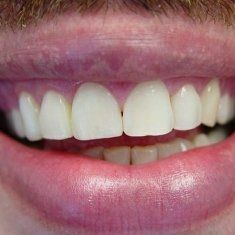 Chips, cracks, and discoloration can compromise your smile. Dental bonding is the application of a tooth-colored resin to conceal minor blemishes, and can also be used as an alternative to amalgam fillings. Dr. Pousson has year of experience adding symmetry and aesthetic appeal to patient's smiles with dental bonding. Bonding is a fast and effective treatment that can be done in just one office visit. The composite resin is durable and is designed to blend in seamlessly with your surrounding teeth. Gum contouring refers to the custom reshaping of the gum line to bring symmetry to your smile. 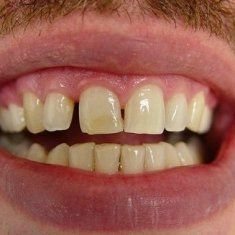 Also called gum reshaping, this is a modern technique that can significantly enhance the appearance of patients whose gums are covering too much of their teeth, resulting in an asymmetric smile. Dr. Pousson has a keen eye for aesthetics and has helped many patients achieve their ideal smile using an electrosurgery unit, which incises and cauterizes at the same time. Patients often include gum contouring as part of a cosmetic makeover to improve the look of their gum line as well as the appearance of their smile.